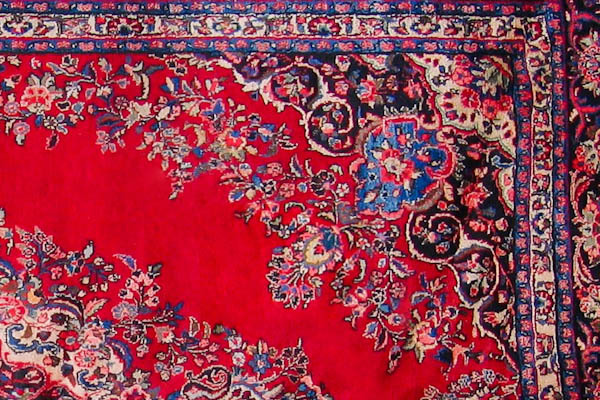 Grillo Oriental Rug Gallery and Care maintains a full service Oriental rug conservation, restoration, and repair department that is well stocked with hundreds of colors of wool, and all the findings necessary to keep your Oriental rugs in excellent condition. Patience, skill and experience is brought to every task. 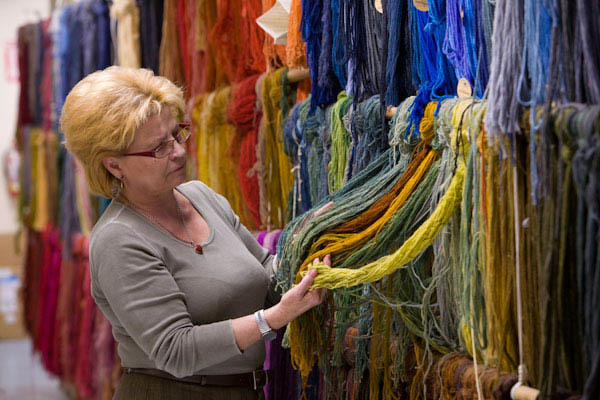 Our vast collection of wools for matching original colors. 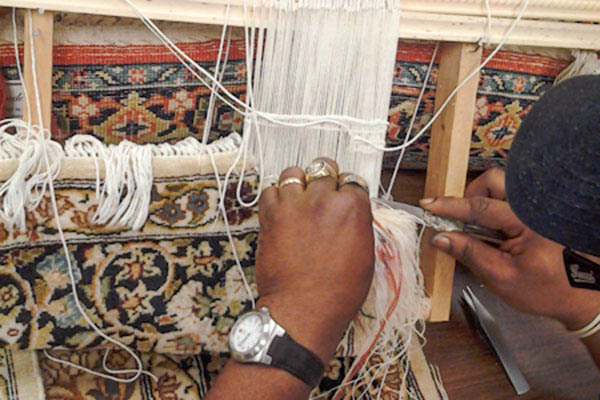 Complex weaving of a fine rug in progress. 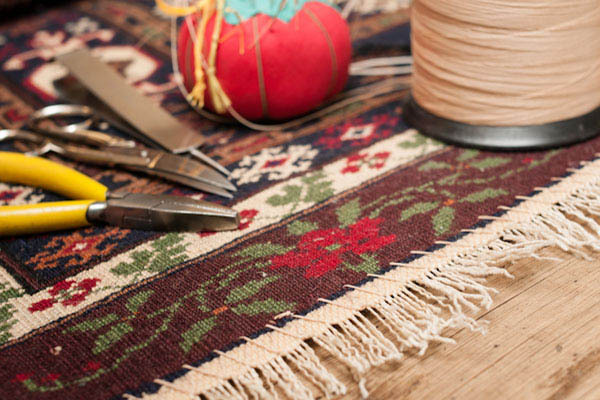 A superb result by our master weaver. 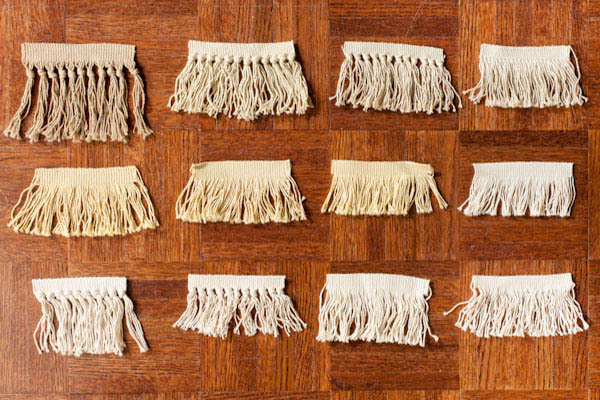 All new fringes are carefully hand sewn. In stock ready- made fringes for cost effective repairs. 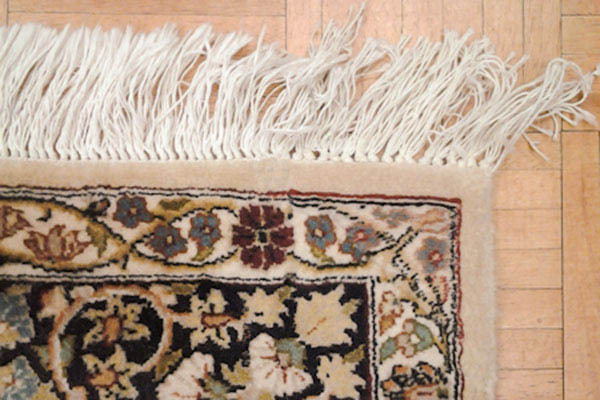 The end of this rug has been properly conserved to give years of service. Re-knaping of a moth damaged area. 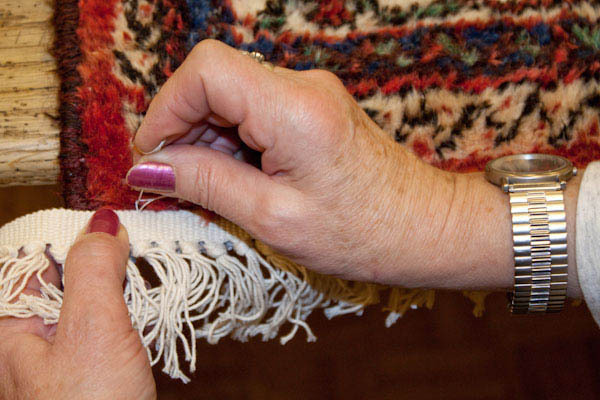 Using the original knot missing wool is replaced. 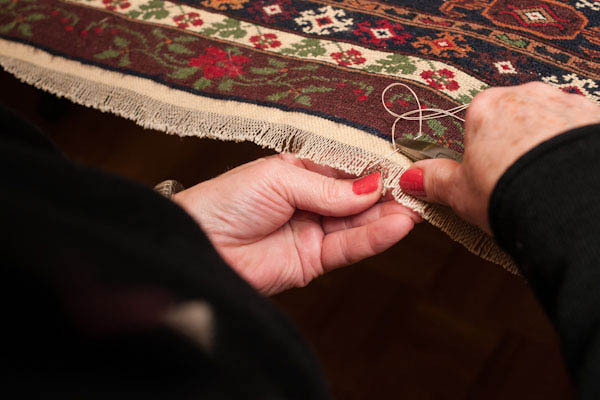 The overcasting stitch prevents your rug from raveling. A small sampling of our patches collected over 4o years. A large hole too costly to reweave. Finding the perfect patch /A decision was made to patch. 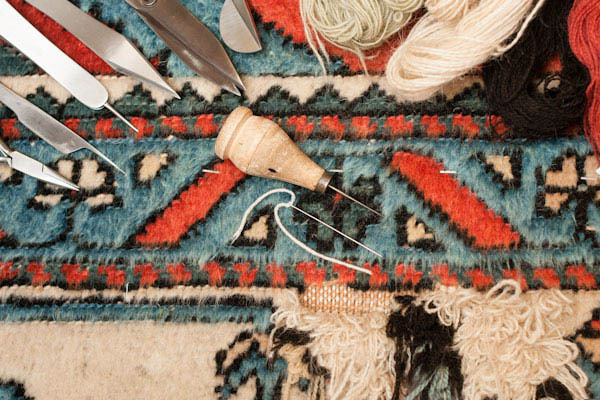 Our skilled hands can accomplish invisible reweaving of holes and tears, or the hand knotting of wool to replace moth damaged areas. Edges and ends are often the first to show signs of wear. 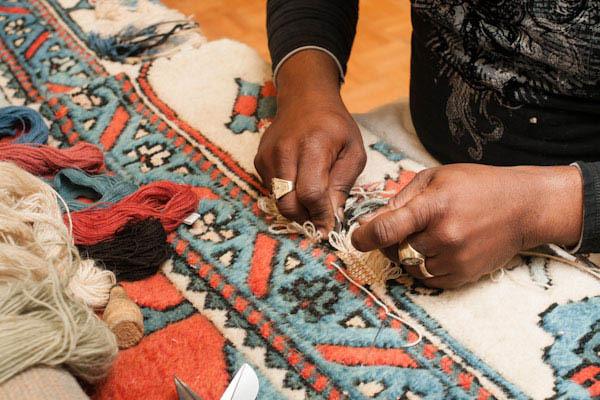 We can overcast ends to prevent further raveling, hand sew new fringes, or rewrap worn edges. 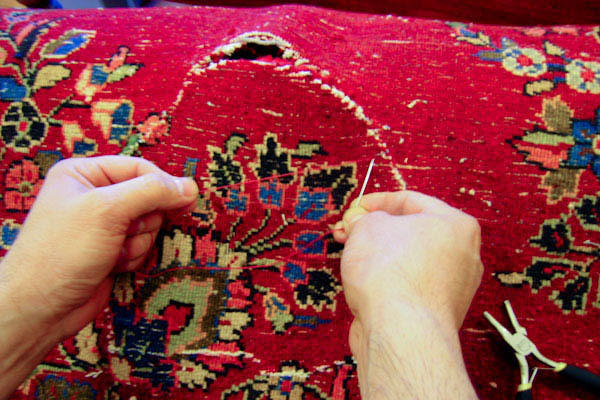 By promptly attending to any areas that need attention, we can not only prevent further damage to your Oriental rug, but help you avoid a more costly repair in the future. 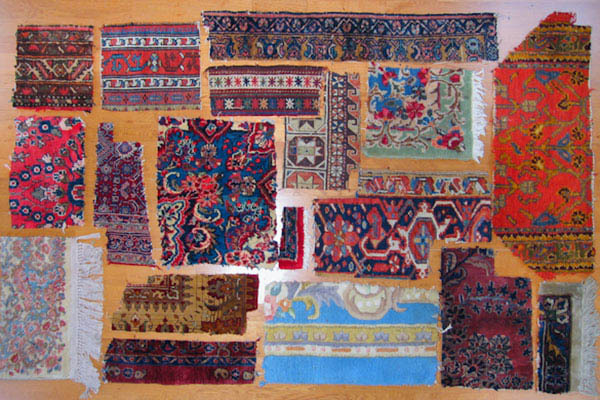 It is important to note that the decision of whether to choose Oriental rug conservation, restoration, or repair must be guided by the Oriental rug’s replacement cost, condition, age, and historic or art value. 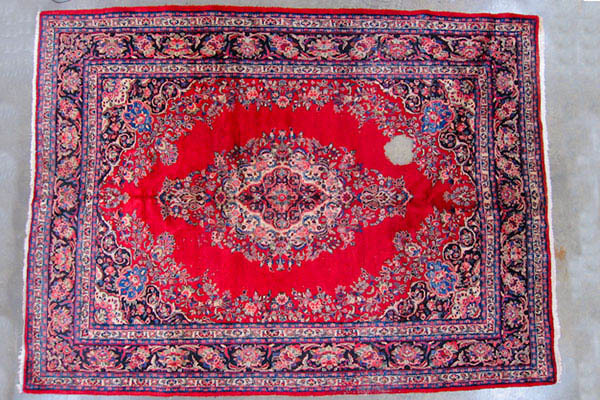 drop off a rug for cleaning.